“…Life means to separate and be reunited, to change form and condition, to die and to be reborn. It is to act and to cease, to wait and rest, and then to begin acting again, but in a different way, “ (van Gennep, ‘the rites of passage’). Dr. Erceg is no stranger to a change in form and condition. However, the greatest and most challenging change has been parenthood. 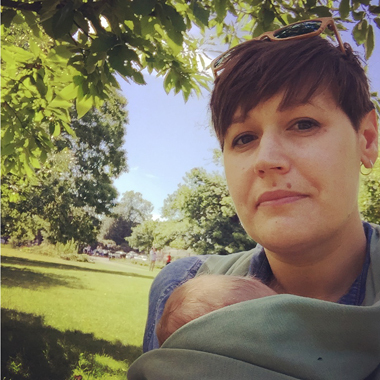 Wishing to ease the transition for other parents, Ariel retrained as a Post-Natal support practitioner with NCT through the University of Worcester. With a background in cultural geography, research, performance, and public education, Ariel offers a warm and judgement-free space for parents to gently explore the new life thrust upon them by the birth of a child.